Looking for a reliable company, American company that truly cares about its customers? Look no further than Roper Whitney. Nutting-Acco is a manufacturer of non-motorized material handling equipment. Located in Watertown, South Dakota, their equipment is used in auto assembly plants, furniture warehouses, grocery warehouses, freight handling facilities and other custom applications. 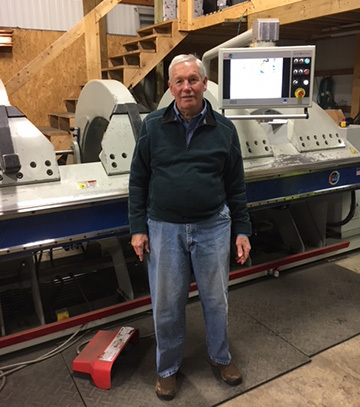 In January 2017, Nutting-Acco purchased an AB 1009K Folding Machine from Roper Whitney. With many factors going into the decision, the fact that Roper Whitney is proudly made in the USA and offers service and tech support in a quicker timeframe than other manufacturers set them apart. They knew that Roper Whitney's commitment to service and keeping their customers running was the ultimate priority. Should an issue ever arise, Roper Whitney's support can walk Nutting's maintenance department or local technician through the process to find a solution quickly. Nutting-Acco couldn't be happier with their decision. The level of prompt service Roper Whitney provides is unparalleled. FLC Systems, a division of FL Crane and Sons, fabricates metal wall panels, trim and miscellaneous accessories. When selecting a manufacturer, FLC Systems chose a 12'14'K Autobrake from Roper Whitney because they could deliver the equipment they needed faster than anyone else. Since it was purchased in the Summer of 2016, their Autobrake has done everything they needed and more. 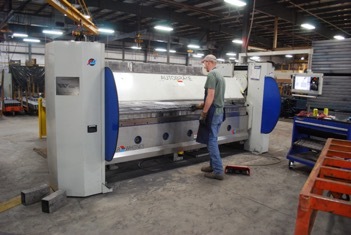 CEI is in the architectural sheet metal business and our machine runs a minimum of 40 hours per week. In 2016, we purchased an Automax 200, 14-gauge long folder. This is the third folder we have purchased from Roper Whitney over the past 20 years, and their customer service has provided a seamless transaction from start to finish each time. The Automax 200 is the work horse we were looking for and has been everything Roper Whitney promised. It is easy to program and adjust and produces a great 20-foot product. We are so glad we bought American-made and cannot imagine buying from another company in the future. Whitefield Roofing needed to make some modern day improvements to a 58-year-old copper roof on a church in Green Bay, Wisconsin. The old roof was 16 ounce copper, batten seam with transverse seams. It was originally done with hand breaks. For the new roof, Whitefield wanted to install 20 ounce copper. They purchased Roper Whitney's American-made 10M14 mechanical shear. These shears utilize a simple low maintenance design, coupled with an array of standard features that results in high value and solid performance. They also purchased the Autobrake 1014K. 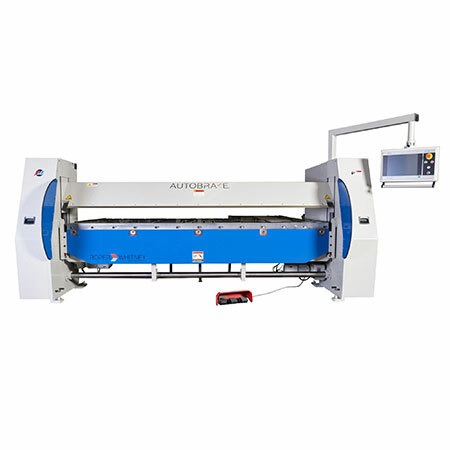 The Autobrake combines automated bending of angles up to 145°, material clamping, and material support into a single CNC controlled system employing wing bending techniques. The equipment provided the perfect amount of precision the company needed to get the job done! Do you have questions about how Roper Whitney can help your company?